Skip Black Friday and Cyber Monday this year and wait to do your holiday shopping in PV. Look beyond the average vacation chochkies and bring back gifts of tequila, coffee, candy, cigars, pottery, textiles, clothing, jewelry, and more. As an added bonus you are likely to spend a bit less on your gift budget, but you may need to check an extra bag on your return flight home. Most of us have time off for Christmas and New Year’s so why not use them to travel? It’s not that spending time with or traveling to visit family isn’t important, but if it’s been a while since you’ve had a real vacation—a holiday away can be a nice change of pace. Spend part of your time on the beach resting and relaxing but be sure to schedule in some fun-filled excursions and activities. Whether it’s just you and your partner, your immediate family, or a full family vacation—you will enjoy at least a few days away from the cold. Even if you live in a fairly warm climate where winter blues are a non-issue spending Christmas in Mexico is a nice change of pace. While you certainly want to enjoy as much regional cuisine as you can during your holiday vacation, you still want Christmas to feel like Christmas—and there’s no better way than with a traditional turkey dinner. 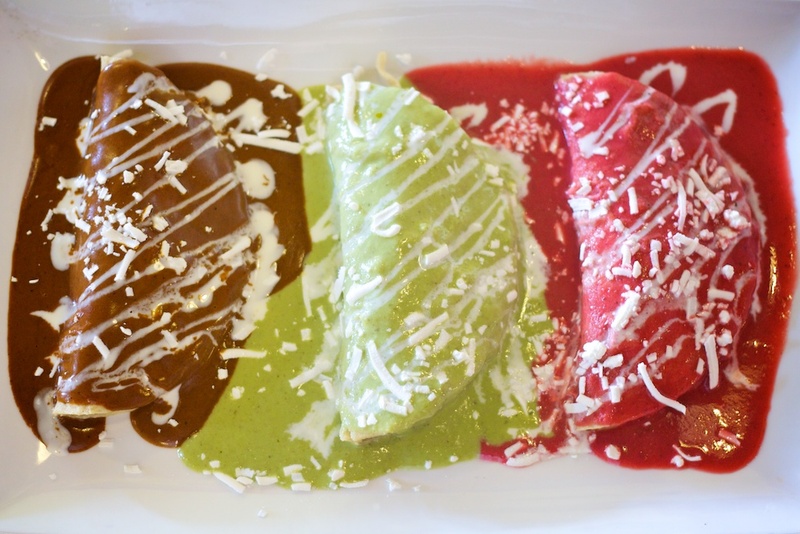 Many hotels and resorts host holiday dinners, with a fan favorite being Casa Isabel. Several restaurants in town such as Daiquiri Dicks and River Café also have prefix holiday menus. Reservations are required and be sure to confirm that it is a turkey dinner or a special Christmas menu. If you are Catholic or Christian or have always wanted to experience a religious pilgrimage firsthand, you can while in Vallarta. There are daily pilgrimages from December 1 to December 12, celebrating Día de Nuestra Señora de Guadalupe—the Festival of Guadalupe. Guadalupe is the patron saint of Mexico. The final pilgrimage to the Cathedral of Our Lady of Guadalupe is the largest pilgrimage. 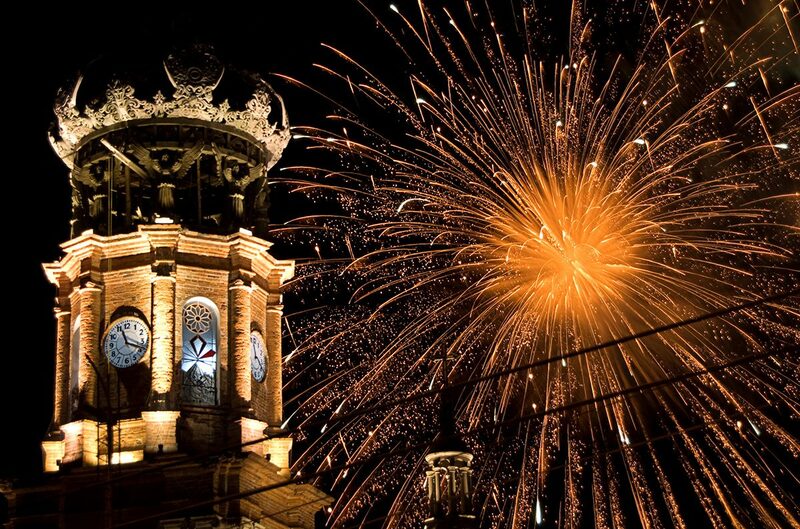 There are fireworks, music, and fiestas downtown and throughout the city on the 12. Las Posadas begins on December 16 and ends on Christmas Eve. This includes a reenactment of the journey of Mary and Joseph as they search for an inn. The Noche Bueno on Christmas Eve is the final mass, a midnight mass. 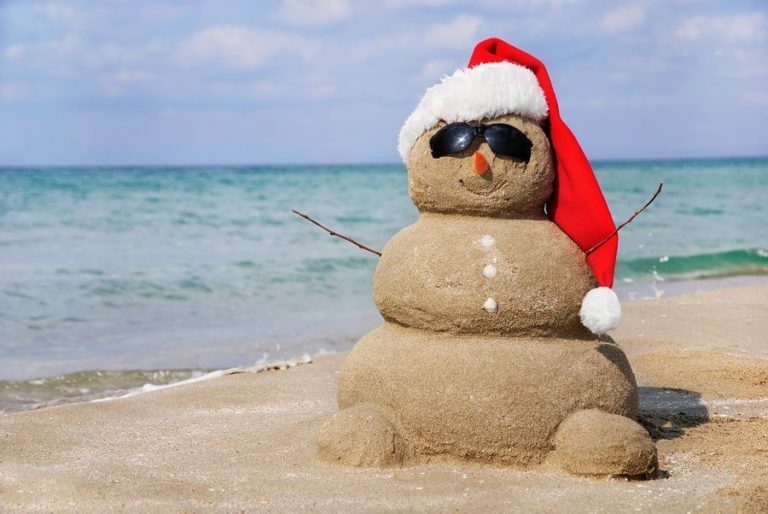 While there’s no chance of a White Christmas in Mexico you can create holiday memories you will cherish for years to come. Feliz Navidad!